Search our member directory to find a mediator that meets your needs. Our 2018 WMA Fall Conference: Opening the Mediation Umbrella: Expanding and Redefining Our Practices, held in Tukwila on October 11th, was a resounding success, thanks to the many Sponsors, Speakers and the dedicated participants! Located at the Tukwila Community Center, the Fall Conference was a dynamic opportunity for learning, networking and collaboration. The morning Speakers: Rick Brady, Jamie Clausen, Astrid Aveledo and Roger Moss helped us to expand our perspectives about our mediation practices. In the afternoon, attendees shared with each other in roundtable discussions on topics important to the practice of mediation.<br /> The Washington Mediation Association Board of Directors would like to thank Douglas Hansen & Associates, McKell Graff, PLLC, Dacia Morrisonbuck, the Dispute Resolution Center of Kitsap County, and Northwest Mediation Center for Sponsoring this event. WMA is a state wide professional organization of mediators that includes Independent mediators, attorneys, volunteers, and organizations. Members advocate for the use of mediation as a powerful conflict resolution tool and support each other’s efforts to continually improve the quality and usefulness of mediation. WMA maintains a trademarked certification program to help the public find highly qualified mediators and understand how mediation works. To identify important factors related to choosing a mediator see our Choosing Mediation with discussion about the process and identifying what you may need. 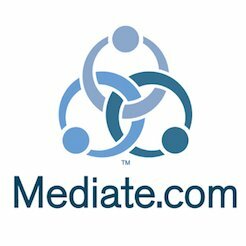 Decide on which mediator by searching our member listings in Find a Mediator.